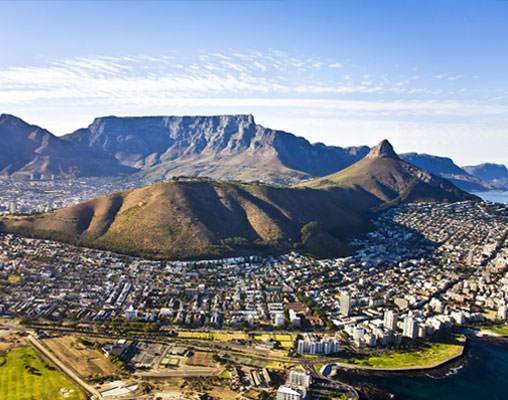 This panoramic ten-day sojourn winds its way from Pretoria to Cape Town and includes a golfing and non-golfing itinerary. After a game drive in the famous Kruger Park*, guests travel through Swaziland to Hluhluwe for a game drive and along the coast to Durban* for a city tour. Traverse the Valley of a Thousand Hills to Spionkop Lodge*, an expansive game farm that adjoins an 11,000-acre nature reserve. Continue to Port Elizabeth* for game viewing at Addo Elephant Park, then on to Oudtshoorn for an ostrich-farm visit followed by a spectacular descent through the Outeniqua Mountains to George*. After visiting the natural paradise of Knysna, the train traverses the spectacular Garden Route to the winelands and Cape mountains before this magnificent expedition ends in Cape Town. Golfers: 7:15 am transfer to Leopard Creek OR White River Country Club OR Nelspruit for tee off and lunch. 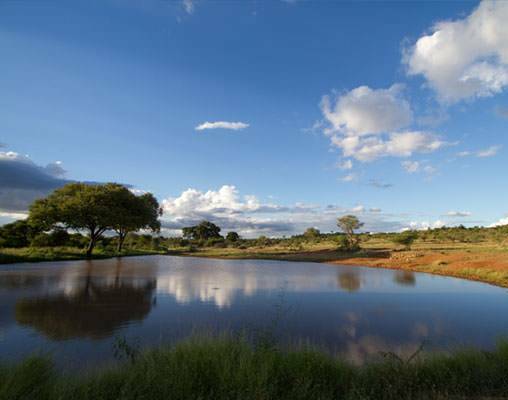 Leisure-Guests: 6:30 am Game drive in the Kruger Park with lunch. 5:00 pm Rejoin the train at Malelane and depart for Swaziland. 12:30 pm lunch is served in the dining cars. 2:00 pm Game drive at Hluhluwe-Imfolozi Park. 6:00 pm Travel alongside the St. Lucia Wetland Park to Durban. Golfers: 7:00 am transfer to Durban Country Club OR Durban Beachwood for tee off and lunch. Leisure Guests: 10:00 am Disembark for a tour of Durban and the botanical gardens 2:15 pm Traverse the Valley of a Thousand Hills to Ladysmith across the Drakensberg Mountains. Golfers: 7:30 am transfer to Champagne Sports Resort for tee off and lunch. Leisure Guests: 9:30 am Spionkop battlefields tour, game drive and lunch. 5:00 pm Travel across the Highveld. Enjoy a day of leisure as the train travels toward the coast. Golfers: 9:00 am transfer to Humewood Golf Course. 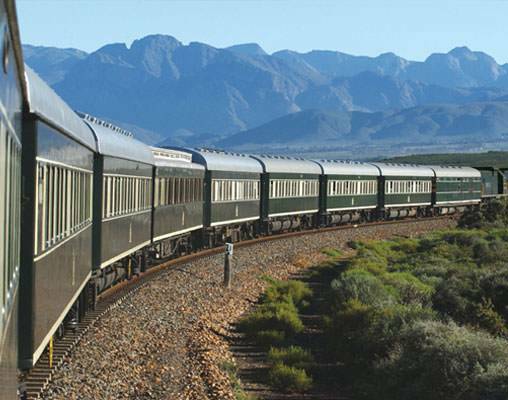 Enjoy a game and lunch before joining the train in Port Elizabeth. 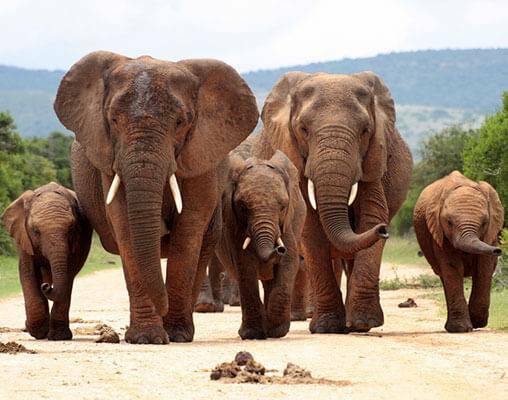 Leisure Guests: 8:00 am Game drive at Addo Elephant Park. 12:00 pm Rejoin the train and depart for Willowmore. Golfers: 10:30 am transfer to Ernie Els Oubaai for tee off and lunch. 6:30 pm meet your fellow travelers for dinner at Fancourt Estate. 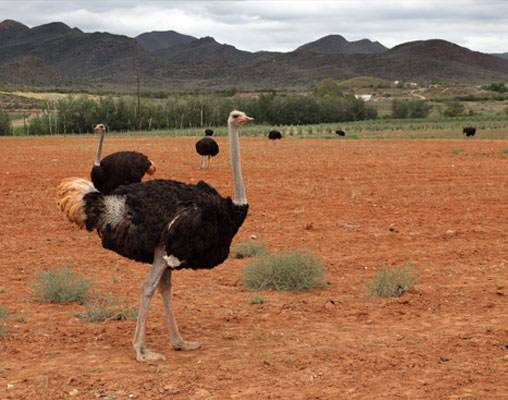 Leisure Guests: 9:00 am Visit an ostrich farm in Oudtshoorn. Traverse the Montagu Pass to George. 6:15 pm Disembark for dinner at Fancourt Estate. 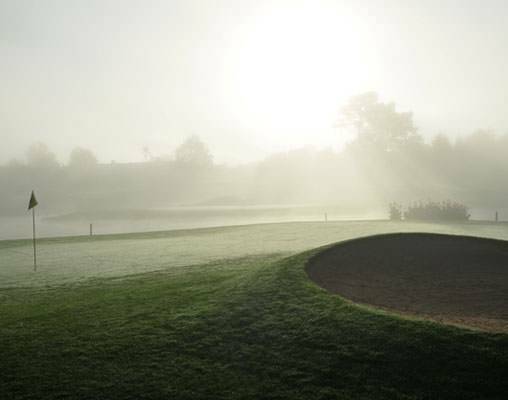 Golfers: 8:00 am transfer to Fancourt for tee off and lunch. Leisure Guests: 8:00 am Enjoy a ferry ride on the Knysna lagoon. Enjoy sightseeing and shopping in Knysna OR a guided walk (60 min) on Leisure Island. 12:00 pm return to train and depart George and travel along the Garden Route via the Outeniqua Mountains to the coast for Riversdale. Enjoy a day of leisure traversing the Cape Fold Mountains. 5:00 pm Arrive at Platform 23 at Cape Town Station. The Pullman Suites are equipped with a comfortable sofa-seat during the day with a conversion to double or twin beds for the evening, and also have an en-suite bathroom with shower. The wood-panelled rebuilt sleeper coaches, remodelled and refurbished to mint condition, offer every modern convenience and comfort. In the en-suite bathrooms, original fittings combine with the modern technology of hot showers, hair dryers and shaver plugs.The spacious suites offer passengers the opportunity to travel in privacy, comfort and luxury, with fittings and facilities that are of the highest standard. All are equipped with a writing surface and a personal safe for valuables. There is also a bar fridge filled with beverages of the passengers’ choice and room service is available 24 hours a day. The Deluxe Suites accommodate two passengers in either twin or double beds and have a lounge area and en-suite bathroom with shower. The wood-panelled rebuilt sleeper coaches, remodelled and refurbished to mint condition, offer every modern convenience and comfort.In the en-suite bathrooms, original fittings combine with the modern technology of hot showers, hair dryers and shaver plugs. The spacious suites offer passengers the opportunity to travel in privacy, comfort and luxury, with fittings and facilities that are of the highest standard. All are equipped with a writing surface and a personal safe for valuables. There is also a bar fridge filled with beverages of the passengers’ choice and room service is available 24 hours a day. 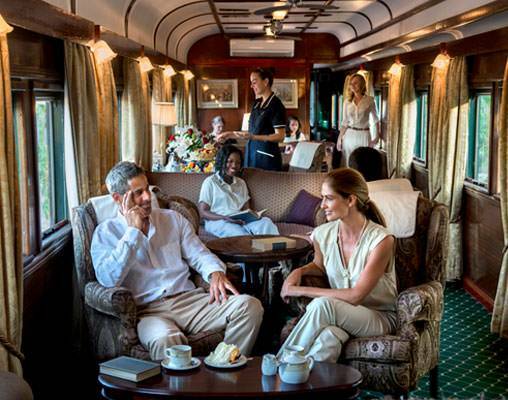 The Royal Suites, each of which take up half a carriage. Each has its own private lounge area and full bathroom with Victorian bath and separate shower. The epitome of luxury with handsome wood panelling and period Edwardian features, the air-conditioned suites accommodate two people offering the option of side-by-side twin or spacious double beds. In the en-suite bathrooms, original fittings combine with the modern technology of hot showers, hair dryers and shaver plugs.The very spacious suites offer passengers the opportunity to travel in privacy, comfort and luxury, with fittings and facilities that are of the highest standard. All are equipped with a writing surface and a personal safe for valuables. There is also a bar fridge filled with beverages of the passengers’ choice and room service is available 24 hours a day. Enter your details below if you would like to be notified when 2020 dates and prices are available for Rovos Rail - African Golf Collage. down considerably. Warm clothing, hats and sun protection are advised (season dependent). Rain capes are available. Please speak with a rail specialist regarding dress code at the golf courses. 2018 Itinerary and accommodations may vary, please speak with a rail specialist for details.